“Thank You for Your Service” starts with a frantic, tear-filled 911 call reporting a suicide. 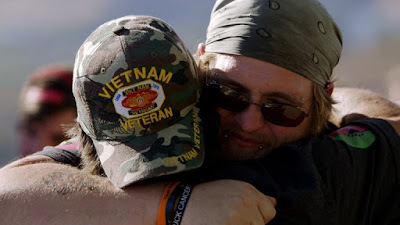 It’s a gut-wrenching moment in a documentary that’s filled with them, and with scenes that make you want to scream in frustration at the bureaucracy faced by combat veterans seeking mental health services. “We couldn’t have drawn up a more catastrophic way to fail to meet mental health needs than the blueprints that were followed in this war,” a retired Navy psychologist says about Iraq. The facts bear him out: Over the past decade, the number of suicides among veterans has soared.